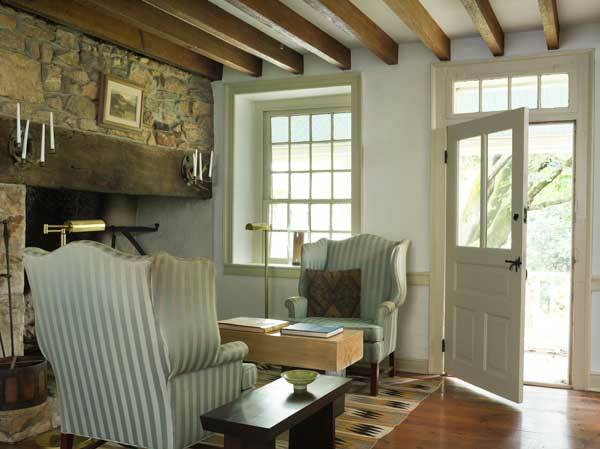 Upholstered wing chairs sit by the original hearth in what would have been the keeping room or kitchen in the oldest portion of the house. 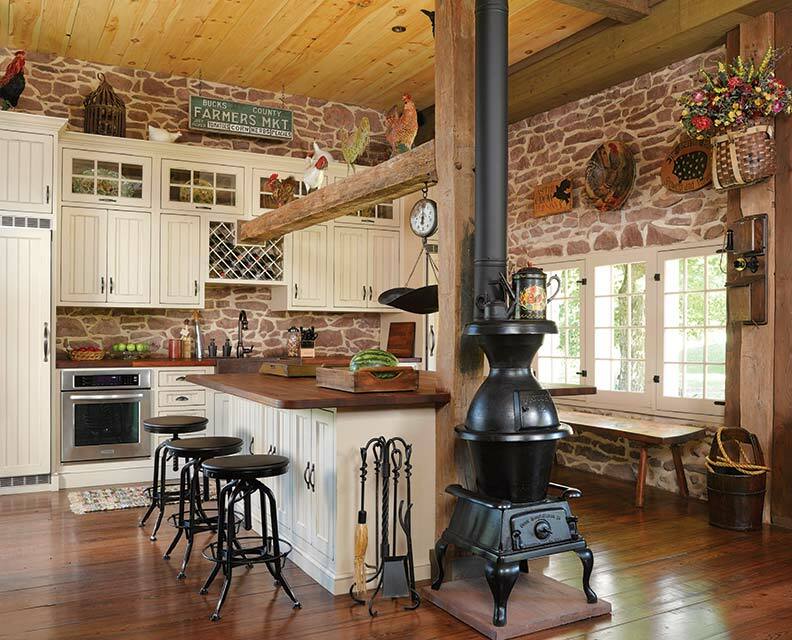 The old stone house is just outside the borough of Riegelsville, in Bucks County, Pennsylvania. 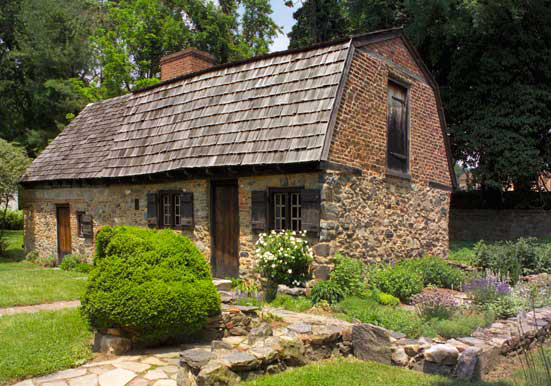 It has a footprint 67&apos; long by 27&apos; deep; masonry walls are 18" thick, with plaster-on-stone inside. The two-story middle block and lower floor of the right-hand wing show up on the tax rolls of 1790. The left wing dates to 1828. Porches, date unknown, were in place when Charles Froom bought the property in 1980. He has been restoring the house ever since. 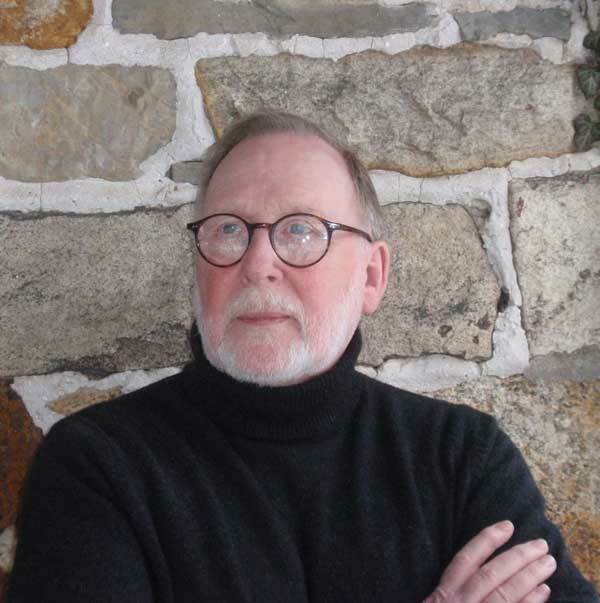 Charles is a designer who works with fine-arts and history museums, consulting on facilities planning, design and installation of permanent collections and special exhibitions, and lighting design. 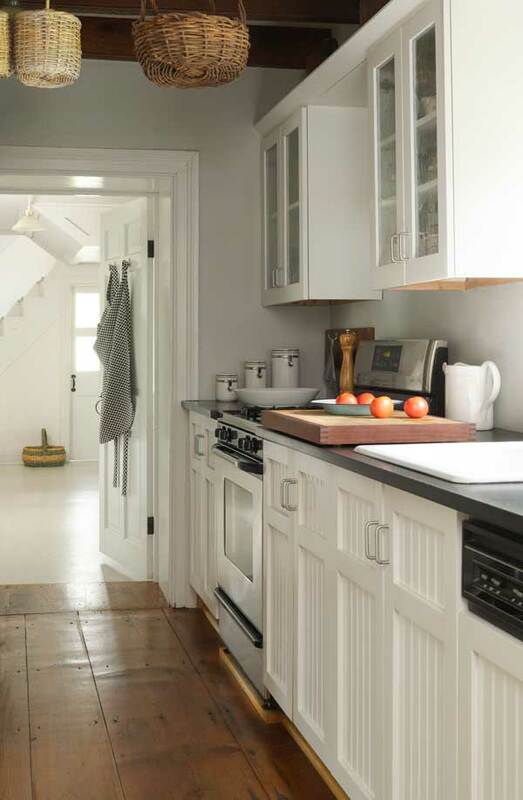 He says the renovation of his own home has been a steady and ongoing process “to discover what is best, or what I hope is best, for the house.” And his approach to decorating appears curated. 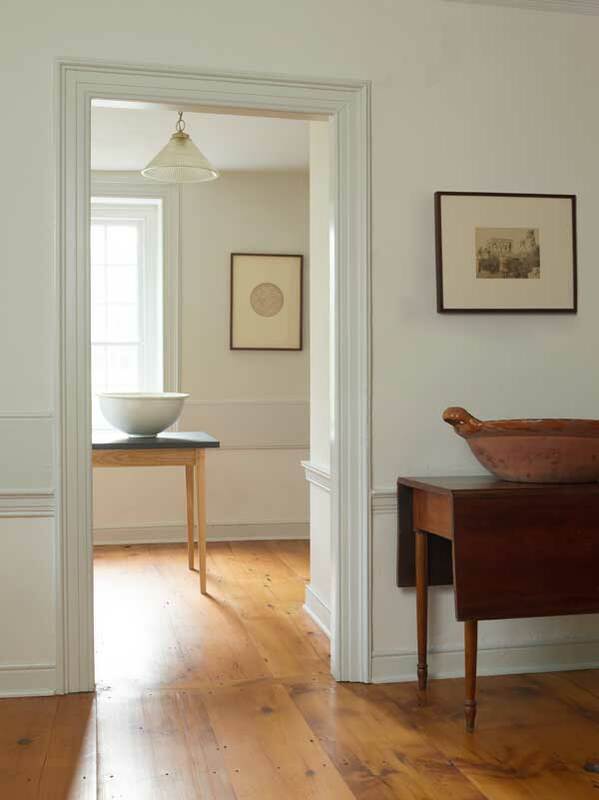 The warmth of the pine floors glows against pale walls and trim. 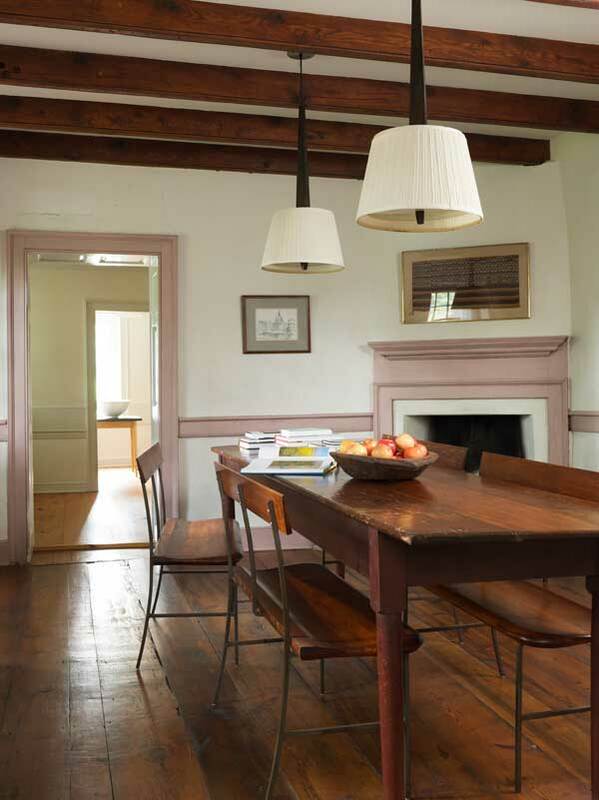 The spare aesthetic is gallery-like, but also reminiscent of early Shaker rooms. Still, furnishings are eclectic. Several tables were designed and fabricated by Froom, whose own wildflower drawings hang over a console that he designed for the center hall. One of his tables for the living room is an 8"-thick slab of white ash with slabs of walnut for legs. A coffee table is by George Nakashima. A large bowl was a gift from a New York City dealer who meant for it to be a sink basin, but the ceramic proved too soft. 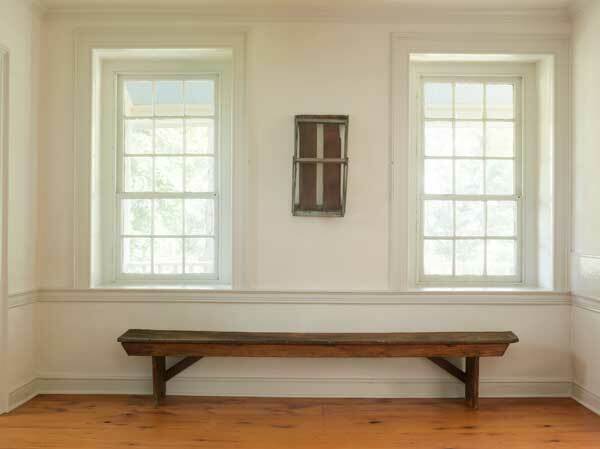 Beneath unadorned windows in the front room, a Shaker bench emphasizes the low dado and strong architectural lines.